For organisms to survive and stay healthy, they need robust defences. We live in an environment full of competitive cells and potentially damaging molecules. To meet this challenge, the immune system exists to protect the body from damage and disease, utilising its complex collection of specialised organs, tissues, cells and signalling molecules. On the one hand, the immune system is an intelligent system, highly adaptive to the individual environment and circumstances. On the other, it is a powerful instrument that does not always work to our advantage and may itself be the root cause of ill-health. 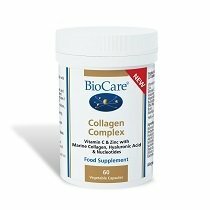 Ensuring optimal immune health can be a challenge and this is where high quality immune system support from BioCare® can assist. 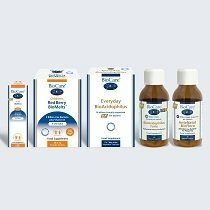 We provide a range of products to support all aspects of immunity from powdered vitamin C with berry extracts, elderberry liquid with zinc and vitamin C through to unique combinations including quercetin, curcumin and pine bark extract. Vitamin C plays an important role in ensuring the normal function of the immune system. We’ve created different types of vitamin C supplements available in liquid form, powder, capsules or tablets, so everyone can choose the best way to incorporate this immune system support into their diet. 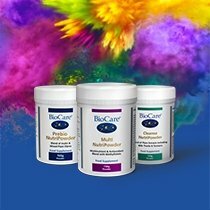 Other nutrients that contribute towards a healthy immune system include zinc, selenium, vitamin A, vitamin B6 and vitamin D, all of which are available as part of immune supplements created by BioCare®. For a highly absorbable format, choose one of our Nutrisorb® products which are in potent liquid forms, easy to combine with other supplements and provide you with a precise dosage. Discover our full range of immune system boosters below and explore our Advice section for additional information about immune supplements and their role in optimising the immune system.